Free Shipping Included! 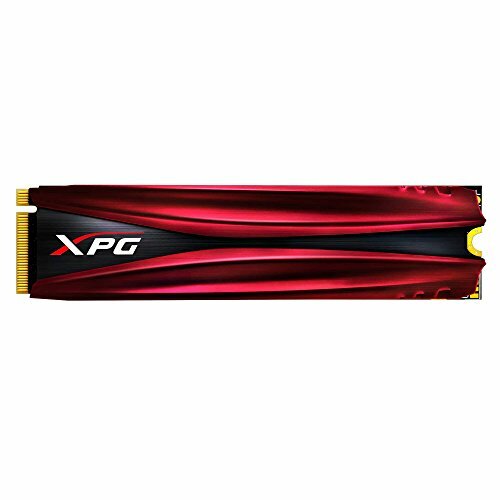 XPG GAMMIX S10 PCIe 1 TB 3D NAND MLC NVMe Gen3x4 M.2 2280 Solid State Drive with Heat Sink (ASX7000NPC-1TT-C) by XPG at Learning Delphi. MPN: S10 1 TB. Hurry! Limited time offer. Offer valid only while supplies last. The Next Generation SSD The newest M.2 2280 PCIe SSD from XPG, the XPG GAMMIX S10 delivers massive speed for gaming notebooks and high-end desktops. The Next Generation SSD The newest M.2 2280 PCIe SSD from XPG, the XPG GAMMIX S10 delivers massive speed for gaming notebooks and high-end desktops. Utilizing the super-fast PCIe gen3x4 interface, the XPG GAMMIX S10 reaches extremely High speeds of up to 1800/850MB per second (read/write), outperforming SATA 6GB/s by a huge margin - several times over, with NVMe 1.2 qualified, the XPG GAMMIX S10 delivers superior random read/write performance and multi-tasking capabilities. It implements 3D NAND flash, which provides higher storage density and reliability compared to 2D NAND. With support for intelligent SLC caching, DRAM cache buffer and LDPC ECC technologies, the XPG GAMMIX S10 maintains optimized performance and data integrity during even the most intense gaming, rendering, overclocking, or other high-demand applications. XPG GAMMIX S10 comes with 5 year warranty for a worry-free ownership experience. If you have any questions about this product by XPG, contact us by completing and submitting the form below. If you are looking for a specif part number, please include it with your message.